Treat yourself to the finest face and hair products available today. For years, we’ve researched and studied the sciences behind truly effective skin and hair. Our all natural formulations preserve and bring out the best in your precious beauty. And, of course, they are all New Hampshire Made! Just as important as cleansing your skin, using our toner can provide you with the healthy skin you crave. Simply stated - All the good oils! For dry aging skin, burns, acne & minor wrinkles. Leave your hair soft, smooth & shiny, while calming the frizz. After shampooing, apply a small amount of Hair Repair to your hands, then working it through your hair. Let the rosemary essential oil stimulate new follicle growth. Though out the ages, Lebanese rose water is used as a nourishing supplement for the face. We use this same rose water to make our face cream. 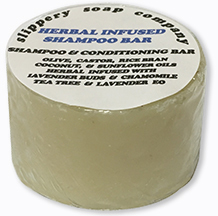 Just wet your hair, rub the bar through several times all over, and watch the lather! Very conditioning with detangling included! CHOOSE FROM 9 DELICIOUS FLAVORS! Massage a smear of this non lathering shave cream for a wonderful clean shave. Made specifically for sensitive skin - face, head, legs. Your face will feel the tingles when using this premium shaving soap, scented with bay rum. Start your day - really for the world!!!!! Includes: premium shaving soap (bay rum) , after shave balm, and shaving brush.